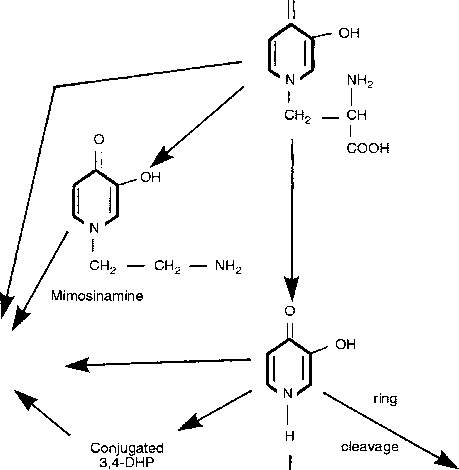 The CNCPS model uses the amino acid profile (% of protein) of the protein insoluble in boratephosphate buffer to compute the postrumen amino acid available (O'Connor et ai, 1993) and multiplies them by the amount of feed protein escaping the rumen to compute the intestinal amino acid availability (DIGFAAf). It has been reported that the amino acid profile of the feed protein escaping the rumen remains the same as that of the original feed protein after correction for microbial contamination (Ganev et al., 1979; Varvikko et ai, 1983; Boila and Ingalls, 1995; Maiga et ai, 1996). Tedeschi et ai (2001) have shown that the amino acid profile of the insoluble protein, determined with borate-phosphate buffer (Krishnamoorthy et ai, 1982), did not differ from that of the original forage protein. The model of Rulquin et ai (1998) considers that the amino acid profile is identical between escaping protein and intake feed protein. This approach relies on some assumptions (Tedeschi et ai, 2001) that may not be true, such as similar degradation rates of amino acids (Von Keyserlingk et ai, 1996). Other factors that may affect the amount of amino acids escaping the rumen are: (i) position of the amino acid in the feed cellular structure, (ii) uptake competition of the amino acids by the ruminal bacteria, and (iii) individual amino acid concentration in the rumen. Therefore, another mathematical approach, as shown below, to accurately compute intestinal amino acid availability could use different degradation rates for amino acids or group of amino acids (i.e. hydrophilic vs. hydrophobic) for each feed. This could minimize the under- or overestimation of duodenal amino acid concentration, which may result in a variation of up to 1 g of protein kg-1 of milk (Rulquin et ai, 1998). In Equation [21.2] AAS is total amino acid supply in the small intestine (g); kdAA - is the degradation rate of an amino acid or a group of amino acids of the j111 feed (% h fcp is the passage rate of the j111 feed (% h_1); FeedAA is the amount of amino acid from the f1 feed (g); and Endogenous^ is the amount of endogenous contribution of each amino acid (g).